Immunology is the study of the system that protects our body from infections. Problems with the immune system are linked to many serious health conditions. 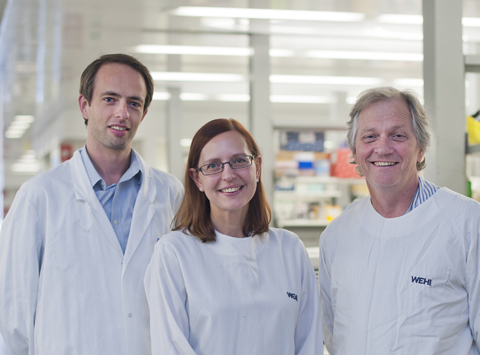 Our immunology researchers are discovering how the immune system functions in health and disease. Defining the basic functions of immune cells, how these cells develop, and how they are controlled. Revealing what goes wrong in immune disorders including inflammation, autoimmunity, immune deficiency, as well as infectious diseases and cancer. Developing new treatments for disease based on immune system modification. Immunology is the study of the immune system, which is comprised of specialised cells and molecules. These work together to protect our body from infection by bacteria, viruses, parasites and fungi. The immune system can also prevent the formation of some cancers. Our immune system can stop most microbes from entering the body, and can stifle their growth and spread. Sometimes, the immune system cannot prevent an infection. Some microbes have developed sophisticated strategies to evade the immune system, allowing them to survive and reproduce within the body. Phagocytosis, or engulfment of microbes by cells. Triggering inflammation in response to microbes or tissue damage. Releasing substances that limit microbial invasion and recruit immune cells. Adaptive immune system: develops ‘memory’ to microbes, allowing subsequent immune responses to the same microbe to be faster and larger. This immunological memory can last a lifetime. Cells with receptors that recognise specific microbial proteins. Antibodies, which are soluble proteins that can bind a specific microbial protein. Innate immune responses typically occur more rapidly than adaptive responses. The innate and adaptive immune systems have many interactions, and can involve some of the same cells and molecules. The immune system involves many different types of cells working together. Many of these are ‘white blood cells’ that develop from blood stem cells in the bone marrow. 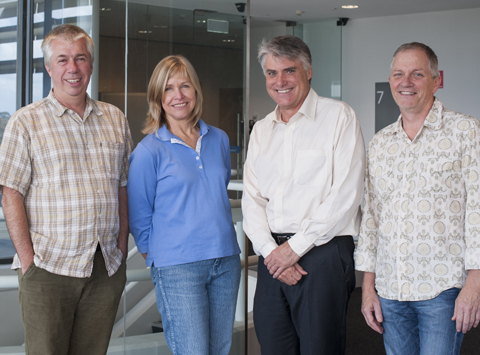 Our researchers are contributing to the understanding of how immune cells develop and function. In doing this, they have revealed many sub-types of these cells. These cells include adaptive and innate immune components, with many functions in controlling, stimulating and executing immune responses. Long-lived memory lymphocytes are the source of lifelong immunity to certain infections. B cells, adaptive immune cells that produce antibodies that specifically bind other proteins, such as on the surface of a microbe. T cells, adaptive immune cells that are stimulated by dendritic cells or other phagocytes to become activated against a particular microbe. Natural killer cells, which can have innate or adaptive roles in eliminating infections, and also killing cancer cells. Cytokines, hormone-like signalling proteins that allow cells to communicate with each other via cytokine receptors on the cell surface. Antibodies, a type of protein released by B cells. Each antibody can bind a specific protein, called the ‘antigen’, with different antigens recognised by different antibodies. This identifies the antigen as ‘foreign’. The binding of an antibody to a microbe can hamper the microbe’s growth and survival. Start and conclude rapidly to minimise damage to the body’s own cells. Only occur in situations of genuine danger, in response to an invading microbe. Immune responses to harmless substances or the body’s own tissues causes disease. The immune system contains many safeguards that regulate its functions. Many strategies are used to prevent harmful immune responses. This includes systems for destroying or silencing potentially harmful cells that could attack the body’s own tissues. Usually the immune system can distinguish our own tissues from invading microbes, and respond appropriately, killing the microbes or infected cells but not harming uninfected or otherwise healthy cells. Defective control of the immune response, leading to misdirected, excessive or inadequate immune responses, underly many immune disorders. Inflammatory disorders occur when the immune system causes excessive inflammation that damages the body. This may be triggered by an infection, such as in rheumatic fever or occur for no known reason, such as in inflammatory bowel disease. Autoimmunity is a type of inflammatory disorder that occurs when the immune system mistakenly attacks the body’s own tissues. These disorders are caused by lymphocytes or antibodies reacting to the body’s own tissues. Allergy occurs when the immune system over-reacts to harmless factors in our diet or environment. Immunodeficiency is a weakened immune system. This causes a person to be infected by microbes more easily than a healthy person. Vaccines expose the immune system to substances that closely resemble a particular microbe, allowing the safe development of adaptive immunity. This protects the body from infection when the microbe is later encountered. Targeted therapy can use antibodies to specifically bind to disease-causing molecules or cells. Many targeted therapies for cancer are being developed that bind to specific proteins on the cancer cell’s surface. Another strategy is to target immune cell communication molecules (such as cytokines) to enhance or inhibit the strength of response to cancer or autoimmune diseases. Immunosuppression turns off the function of immune cells. Most immunosuppressive medications have widespread effects on immune cells, and can perturb protective as well as harmful immune responses. Preventive vaccines switch off a harmful immune response by providing signals to the immune system that a substance is not harmful. Our researchers have developed potential preventive vaccines that are in clinical trials for coeliac disease and type 1 diabetes. 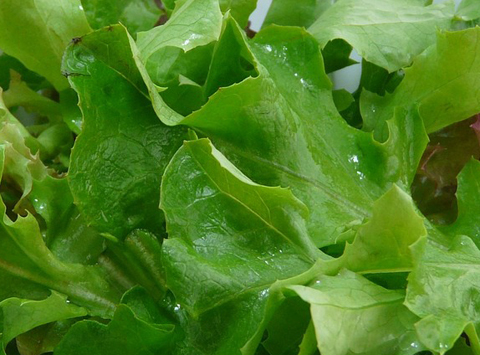 Professor Gabrielle Belz discusses the link between eating green leafy vegetables and digestive health. 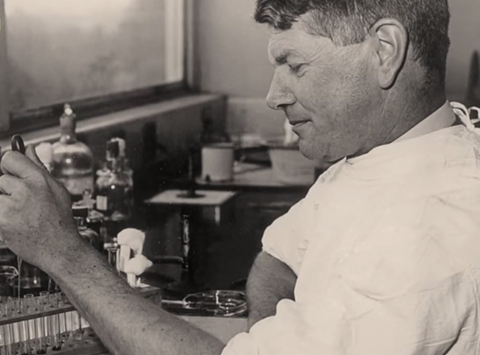 Frank Macfarlane Burnet was awarded the Nobel Prize in 1960 and is widely acknowledged as the founder of modern immunology. This animation was created to commemorate the 50th anniversary of Burnet's landmark discovery.